Exciting young sire Munnings posted his tenth stakes-winner when promising colt Never Gone South (2c Munnings x Summer Rules, by Perfect Soul) took out the Strike Your Colours Stakes at Delaware on Wednesday. An easy winner on debut at Parx on June 21, the Cathal Lynch trained colt looked even better this time around against tougher company. In a race marred by interference, Never Gone South stayed out of trouble and ran hard to the line to win the five and a half furlong dash by two and three-quarter lengths to keep his unbeaten record intact. 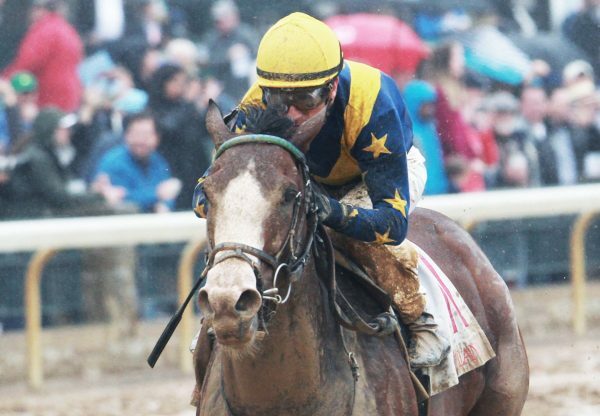 A $90,000 purchase from the OBS April 2YO Sale earlier this year, Never Gone South is the first winner for Summer Rules, a half-sister to Grade I winner Peace Rules and stakes-winner Wild Fashion. 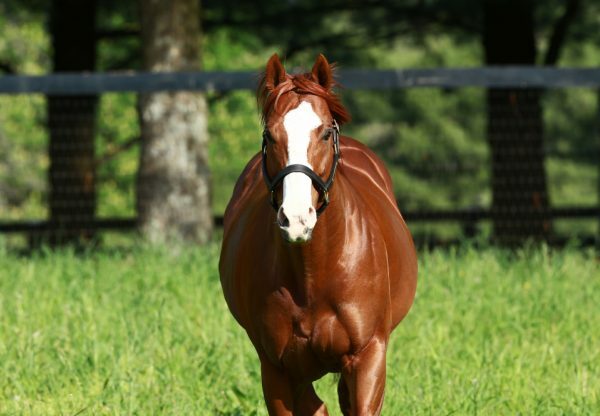 Never Gone South continues a great run of success for Munnings and his barn mate Lookin at Lucky, the two young stallions currently heading the US Second Crop Sires List.